Professor Shuji Nakamura, Nobel laureate in physics 2014, will give a lecture at the University of Paderborn on November 30th, 2016. 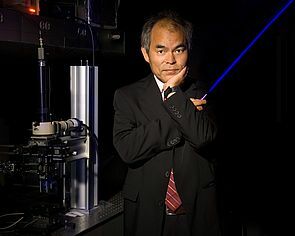 Celebrating the 10th anniversary of the Center of Optics and Photonics Paderborn (CeOPP), the special research area TRR 142 and the graduate program GRK 1464 have invited Professor Nakamura as special guest. In his lecture entitled: “The invention of high efficient blue LEDs and future Solid State lighting”, Professor Nakamura will highlight his invention and the role of high efficient blue LEDs which is regarded as a breakthrough in lighting technology.